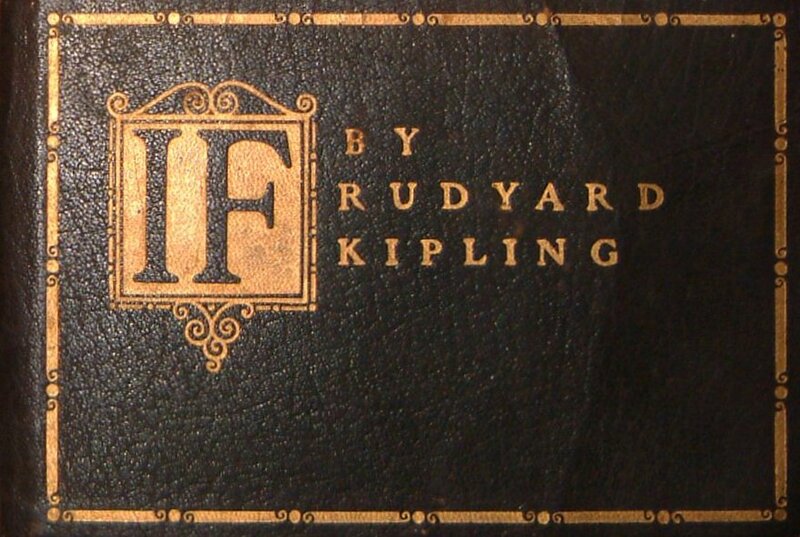 I do not believe I was ever required to read Rudyard Kipling’s poem “If.” Perhaps better known for his books Kim, Captains Courageous, Gunga Din, The Man Who Would Be King and The Jungle Book among others, Kipling penned “If” in 1895. I first read the poem on a rainy afternoon in the ’60’s sitting in the Berkshire Athenaeum, Pittsfield Massachusetts’ Public Library. When you encounter a poem like “If,” you remember the time and the place. I can’t imagine that a young person could read the poem and not be inspired, then or today. Nearly 40 years later, I gave one of my sons a framed copy for his graduation gift. I read the poem again this morning. As I did, it became eminently clear that Kipling has given us a solid formula for becoming heroes: people who are worthy to be admired for our achievements and noble qualities, and people who can have a positive effect on our fellow creatures. If – there’s that word again – each of us can live our lives as Mr. Kipling prescribes in his poem, we will be better people and we will make the world a better place. We’ll be more than just men and women… we will be heroes. 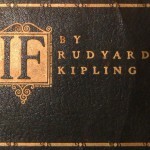 In an interview after 9/11 NYC Mayor Rudy commented that Kipling’s If had been gifted to him upon his graduation from ?? by his father. He leaned upon those words to sustain him in all of the aftermath of 9/11. I happened upon a 101 Favorite Old Poems book a year or so later, and there it was. This past Christmas I gifted son JohnR with a framed copy, because he has become that kind of man, and I just wanted to affirm who he is !! “If” is a powerful liturgy, gifted by more people than I can imagine. I hope by passing it on from generation to generation, we can make the world a better place. I am certain we can. Bless you, bless John and bless JohnR. The Vitruvian Man himself gifted this to me upon graduating with my first degree 7 years ago! A framed copy of this poem was given to me at age 7 when I was a flower girl in a friend’s wedding. It hung in my bedroom until I sold my house in Pittsfield. It is now in my daughter’s guest room in North Carolina.